Apple left the iPhone 7 and 7 Plus in its roster this year as the cheap options, selling them starting from $449 and $569, respectively. If you could get them for cheaper, though, that would be even better for those who have no need for Face ID or the larger screens of the newer OLED iPhones or want to use iOS on a budget. Select Costco locations have the iPhone 7 for just $300, after instant $100 off applied, and the 7 Plus for $400. The phones are provided by T-Mobile but there are no visible strings attached like a requirement for a new line activation. Those who were lucky to have units in their local Costco stores said they were able to unlock them via T-Mobile without any problems, too. Needless to say, the deal is for the 32GB version, which is not plenty this day and age but is still the cheapest you can get for using iOS on a relatively modern device. Any takers? It is a bad deal, especially when you can pick up a 128 gb Pixel 2 XL, with unlimited cloud storage on top, for only $350. It has a superior HDR QHD+ resolution OLED display, comes with a fast charger in the box, a way better camera that has portrait mode on front and rear cameras. Faster LTE, It even has Daydream VR support. ARCore, squeeze controls, Google Assistant, and much more. Now that is a great deal. The iPhones 7, 7+ have no HDR, only 32 gb for these prices, worse cameras, low resolution displays, no unlimited cloud photo storage, and no Daydream VR. Pixel 2 XL at $350 is a great deal but not when the discounts are offered over 24 months not so much. Where can you get a brand new, unlocked 128gb Pixel 2 XL off contract? 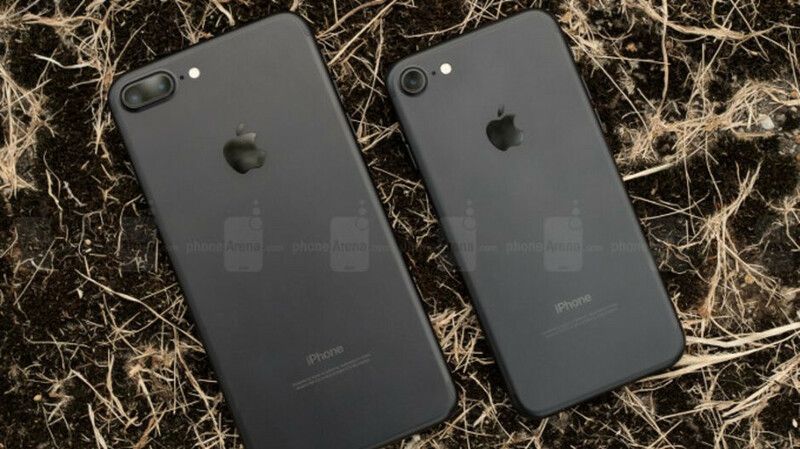 I thought those iPhone 7 phones in the picture had some strange markings or off-beat branding on their body. Turns out it's just the PA water-marks all over the picture. Shocker. iPhone 7 for $300 is a hell of a deal. It has been my daily driver for the past 1 year and it is one of the best phones I have ever used. I would be using it for another year or 2 at least. My 6s runs fine except for garbage battery life and meh camera (still get some great shots). I wouldn't want a 32gb or a 7. It has to be a big jump to the current crop.